Description: Angry Panda ROAR - Vision: safe investments for everyone - Blockchains don’t add value. People do. Join our Community and stay tuned on our official telegram channel: https://t.me/Angry_Panda_ROAR - Announcements, free ICOs and tokens. 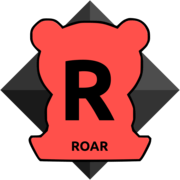 Custom Description: ROAR is issued at raising prices from 1 USD to 1,000 USD, and every 25 XPAND tokens sold by Angry Panda, 1 XPAND token will be available to be swapped 1:1 vs ROAR tokens. Considering that XPAND is worth 1,000 USD - 1,100 USD and more, and that the max supply fixed at only 100,000 ROAR (not-reissuable) - while Bitcoin supply is 21,000,000 (210x) and XPAND supply is 2,600,000 (26x) - ROAR can give potentially a very strong return on investment, even much more than 1,000 USD.